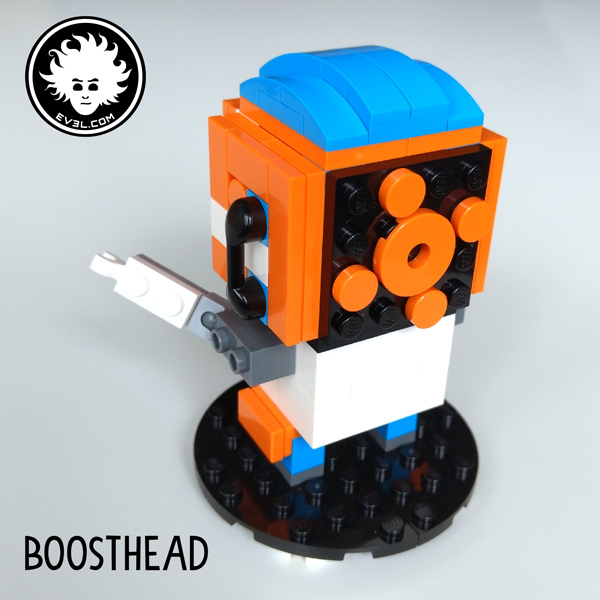 My name is Head… BoostHead! BoostHead is the first original BrickHeadz character I build. 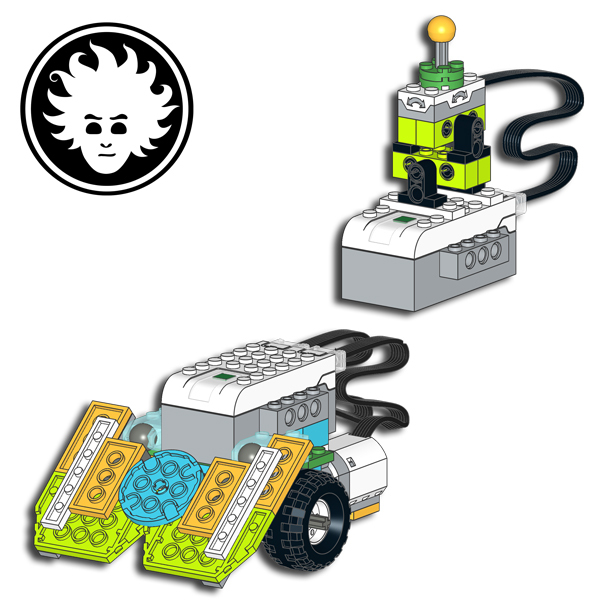 I got inspired by the LEGO parts assortment of the new LEGO BOOST 17101 set. 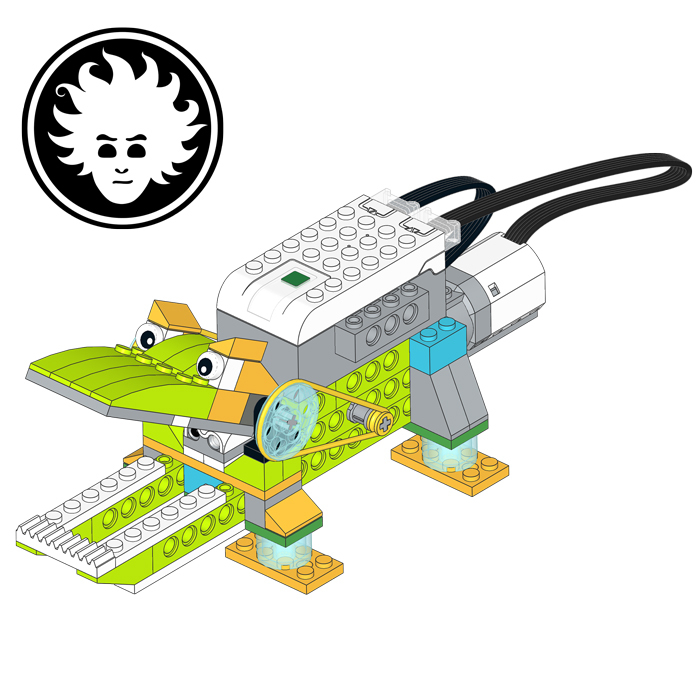 In fact, it includes a lot of bricks with side studs and brackets (40!) 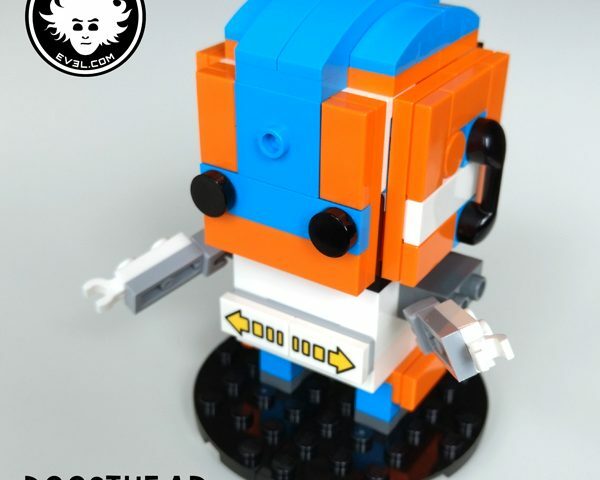 , which are ideal for the SNOT (Studs Not On Top) building technique typical of the BrickHeadz characters. 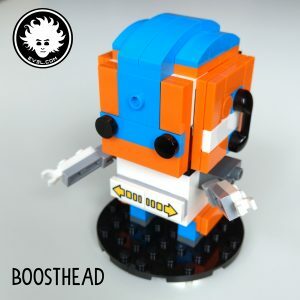 I started tinkering with the parts, and designed this LEGO BOOST Brickheadz Mascotte, trying to decorate it with the unique color scheme of the Creative toolbox 17101 (dark azure, white, orange). 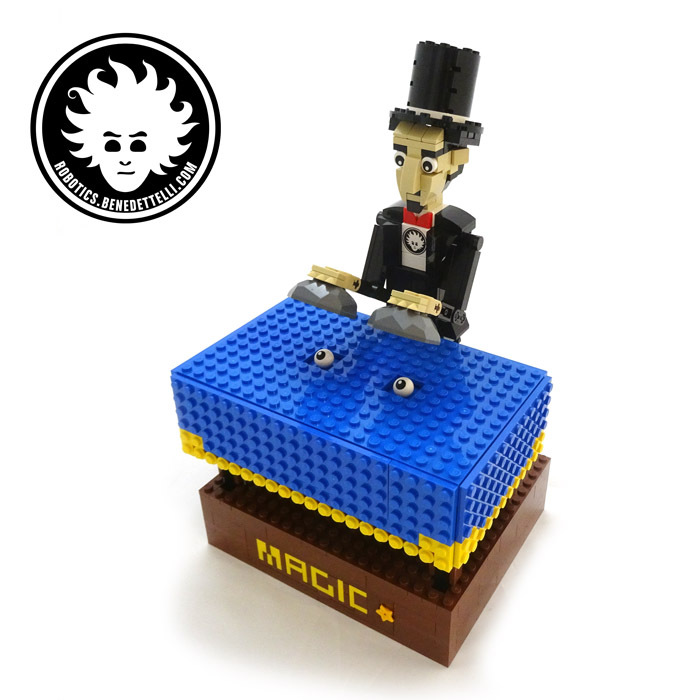 Enjoy the result of a very hot summer afternoon.